2018 is a milestone year for TCSJOHNHUXLEY. The family owned and operated company celebrates its 45th Anniversary as the premier manufacturer and supplier of live table gaming products and services, with a range of new innovations at ICE. To coincide with this important anniversary, one of the company’s most significant products sees a new model being launched at the show. The latest Chipper Champ will be unveiled at ICE, featuring a range of key upgrades that will provide operators with improved productivity, security and reliability. All fundamental in keeping this benchmark product ahead of the competition and still the ultimate ‘Champ’. 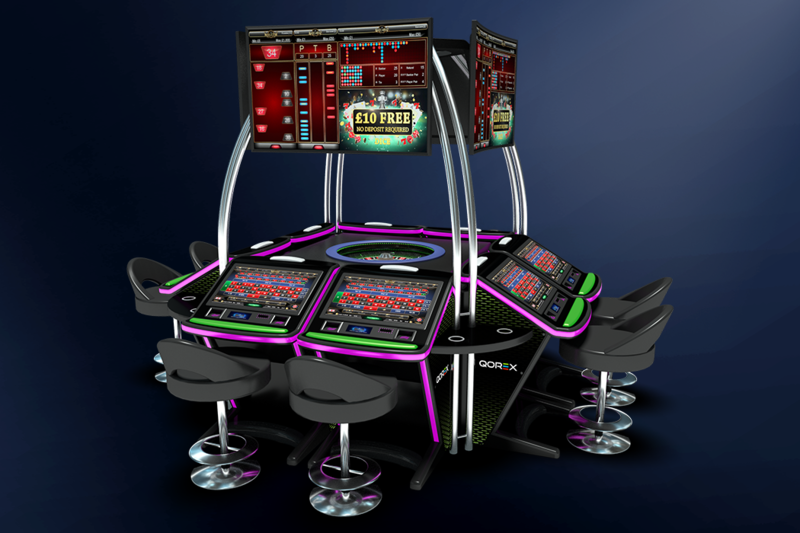 ICE 2018 also sees a new addition to the Qorex Electronic Gaming Solutions range. First debuted at G2E in October, the ergonomically designed Qorex Terminal now has a smaller 23” cabinet in addition to the existing 27” version. Powered by the GFL Gaming module which provides exciting live and automated game content, the new 23” cabinet incorporates all the features of the original larger terminal, but has been designed to provide a more compact footprint – ideal when space is at a premium or there’s a restriction on the number of tables. TCSJOHNHUXLEY’s world renowned products are the mainstay in casinos across the globe, combining quality, innovation, reliability and security. These features not only appeal to land based operators, they are also crucial to online casinos that operate 24/7 businesses. For the first time, visitors to ICE will see a range of products tailored to meet the needs of the i-gaming sector. With the ability to reach hundreds of thousands of players across the globe on a daily basis, operators of online live casinos demand the reliability and security that TCSJOHNHUXLEY products provide.